Bestselling romance author Jacob Churcher hasn't been home for almost twenty years-- not since his mentally ill mother kicked him out of the house when he was just sixteen. When a lawyer calls, days before Christmas, to inform him that his estranged mother has passed away and left her house to him, Jacob returns not just to settle the estate but to try and reconcile with the past and the pain and abuse he experienced as a child. Also, maybe cleaning out her house will be slightly less depressing than spending the holidays alone, watching re-runs of Christmas classics. But as it turns out, the house holds more than just difficult memories, Jacob’s mother had become a hoarder and he must excavate through two decades worth of clutter. 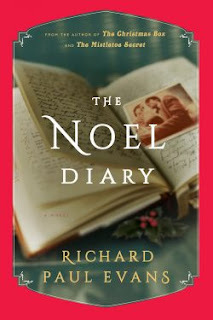 As Jacob digs through the detritus, like an archaeologist, he uncovers many puzzling items including a diary left by someone named Noel, a young woman he has no recollection of, who stayed with Jacob’s family during her pregnancy. That’s not the only echo from the past. Jacob has an unexpected visitor, Rachel, a woman looking for the mother who put her up for adoption thirty years before. United by their quest to make sense of the past and rewrite their futures, Jacob and Rachel begin a search for Noel. Along the way they find more than they possibly imagined, including grace, forgiveness and a chance at love. Buy the book HERE. Richard Paul Evans is the #1 bestselling author of The Christmas Box. Each of his more than thirty novels has been a New York Times bestseller. There are more than thirty million copies of his books in print worldwide, translated into more than twenty-four languages. 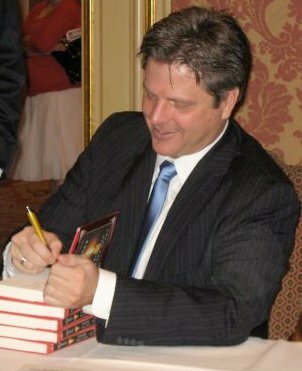 He is the recipient of numerous awards, including the American Mothers Book Award, the Romantic Times Best Women’s Novel of the Year Award, the German Audience Gold Award for Romance, two Religion Communicators Council Wilbur Awards, the Washington Times Humanitarian of the Century Award and the Volunteers of America National Empathy Award. He lives in Salt Lake City, Utah, with his wife, Keri, and their five children. You can learn more about Richard on his website, RichardPaulEvans.com.